BlackBerry this week announced that it will no longer manufacture the Classic smartphone, the company's only remaining — and possibly last — U.S. device available in the 'candy bar' form factor that once made BlackBerry THE name in mobile. On the enterprise side of things, where BlackBerry has been able to sustain a foothold, research firm Gartner recently gave Samsung's KNOX Android security platform more "strong" ratings in its analysis than both BlackBerry 10 and BlackBerry's Android platform. Ouch. Yet yesterday's news from BlackBerry's COO Ralph Pini seems more relevant than any of these other recent developments. Pini wrote that BlackBerry will no longer manufacture its BlackBerry Classic smartphone, the company's only remaining U.S. phone with the traditional "candy bar" form factor and full QWERTY keyboard that once crowned BlackBerry the undisputed monarch of mobile. The death of the BlackBerry smartphone as it once was has been a long time coming, but Pini's blog post sounds the death knell for a formidable form factor dragged down by sluggish software and poor executive foresight from BlackBerry's leadership. A market for phones with great QWERTY keyboards like the ones BlackBerry used to manufacturer still exists — Samsung makes a "keyboard case" for its flagship Galaxy S7 phones — and it may prove ill-advised for the company to move away from the one unique hardware component it ever made. BlackBerry will probably continue to make Android phones with physical QWERTY keypads, with actual buttons, like the Passport and PRIV. However, these phones feel like novelties, throwbacks to a bygone era when keyboards ruled. 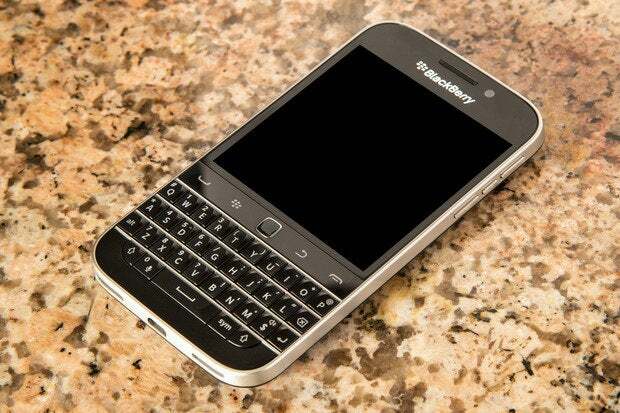 Sure, BlackBerry could eventually release an Android-powered, candy-bar style phone with a "real" BlackBerry keyboard. But that seems unlikely. The consumer masses flocked to all-touch devices, typing accuracy be damned, and BlackBerry's just trying to lift itself out of the red, which doesn't leave a whole lot of room for bold departures from the norm.